Eleanor Roosevelt is usually given credit for being the first presidential wife to take an active public role in pursuing what we now call a “Pet Project” in her capacity as First Lady of the United States. Mrs. Roosevelt had been socially, and politically active prior to going to the White House, and after FDR’s election as president, she continued to do so. She is still considered probably the most active of all the First Ladies since the beginning of the modern era in America. Before and after her there were First Ladies who maintained the tradition of the typical nonpolitical presidential wife. Mrs. Roosevelt’s interests ranged from an interest in civil rights for African Americans, to her husband’s political career, and international and world politics. Even after her husband’s death, Mrs. Roosevelt continued to write and speak on those subjects which always had always interested her. Following Mrs. Roosevelt, First Ladies, Bess Truman and Mamie Eisenhower returned to the traditional nonpolitical wife role. In 1961 when John F. Kennedy became the 35th President of the United States, he brought glamor to Washington, D.C. and to the White House in his wife Jacqueline Kennedy. The American public immediately fell in love with their First Lady. The soft spoken, beautiful Jackie Kennedy was indeed a fashion trendsetter and American women everywhere wanted to imitate her style. Mrs. Kennedy soon adopted a Pet Project which became the refurbishment of the White House. On the night of 14 February 1962 three out of four television viewers tuned to CBS or NBC to watch A Tour of the White House with Mrs. John F.Kennedy. Since Mrs. Kennedy, all the First Ladies who followed adopted a Pet Project of their own. In 1963 Lady Bird Johnson became involved in her Beautify America project as well as the Head Start Program. Following her, Patricia Nixon promoted Volunteerism, Americans helping Americans. Betty Ford was involved with The Equal Rights Amendment and Breast Cancer Awareness, having herself been a victim of breast cancer. Later, when Roslyn Carter became First Lady her pet project became to make Americans aware of Mental Illness. Mrs. Carter made it possible for Americans to speak openly about a subject that in most circles was considered taboo. By the time that Nancy Reagan became First Lady, Americans were facing a new social disease. The use of illegal narcotics had become an epidemic, and Mrs. Reagan’s “Say NO To Drugs” program brought the issue of drug abuse and anti-drug education to the public’s attention. Unfortunately the war against drugs is far from over. The 41st First Lady of the United States was Barbara Bush and she supported and worked to advance the cause of Universal Literacy. She founded the Barbara Bush Foundation for Family Literacy while First Lady. Since leaving the White House, she has continued to advance this cause. When Hillary Clinton became First Lady, she took on a role more like Mrs. Roosevelt’s had been. Concerned with national and political issues, Mrs. Clinton was very active in political affairs in her husband’s administration and even tried to push through a Universal Healthcare bill. Mrs. Clinton was the last First Lady of the 20th Century and ushered in the 21st Century. Although Americans seemed to prefer that their First Ladies keep to a more traditional role, Mrs. Clinton went on to become a New York State Senator, and currently serves as the 67th United States Secretary of State. In 2001 with the election of George W. Bush, Laura Bush became the 43rd and still one of the most popular First Ladies to grace the White House. A librarian by profession, Mrs. Bush continued to advance her interests in Education and Literacy by establishing the semi-annual National Book Festival in 2001. She encouraged education and advanced women’s causes particularly research for heart disease and cancer. Mrs. Bush also traveled abroad on trips which focused on HIV/AIDS and malaria awareness. Since the earlier days of Hillary Clinton’s attempt to pass the failed Clinton Healthcare plan, there really has not been a controversial project from the White House until Michelle Obama decided to make Childhood Obesity her pet project. When we first read about it we thought that it was a very good idea. Back in the days when John Kennedy was president, he had encouraged physical fitness for American school children. We recall the rigid exercise programs that had begun in our schools and felt it was a great idea to encourage physical activity for children. Childhood Obesity is a real concern in the United States. We believe that the responsibility for children’s nutrition is the direct responsibility of the parents. Raising parental awareness of how to control childhood obesity is a very worthwhile cause. The rapid growth of fast food restaurants and the easy availability of what we’ve come to know as “junk food” is astonishing. At first we agreed with Mrs. Obama’s decision to take on such an ambitious project. But, as happens with most things that come out of the Obama Administration, Michelle Obama’s project began to grow out of bounds. In June of 2011, Michelle Obama changed the USDA’s well known food pyramid and changed it to new design, called MyPlate, which was conceived as a crucial part of her campaign against obesity and is designed to remind consumers about the basics of a healthful diet. 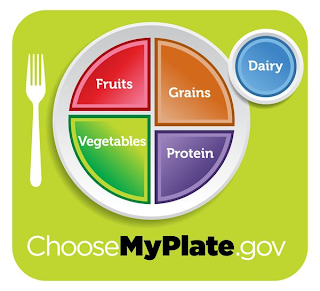 At a news conference in Washington, Mrs. Obama, Agriculture Secretary Tom Vilsack and Dr. Regina M. Benjamin, revealed this new icon, a plate divided into four sections, containing 4 food groups as the new guide Americans are to follow. We immediately thought of the cost of replacing all the food pyramids in doctors’ offices and books on nutrition, at the whim of one First Lady. It is one thing to use the plate as a teaching tool to make it easy to understand, it is yet another to change the theory of the pyramid which has been a staple in nutrition education and especially a guide used by several groups including the American Heart Association and the American Diabetes Association. As late night comedians made fun of the changes being made, Michelle Obama’s project lost credibility. The problem of childhood obesity in the black community is grave, yet rather than to address those issues Mrs. Obama has taken it upon herself to influence the fare that is served in some of the favorite restaurants where most of those obese children in the inner city cannot afford to eat. Olive Garden, Red Lobster, Longhorn Steak Houses, Bahama Breeze and McDonald's are some of the restaurants that have given in to the pressure and are changing their fare. On Monday, AgricultureSecretary Tom Vilsack said that Americans will “adjust” their tastes to thefood the government says is best for people to eat. Conservatives have been accused of being the only critics of Michelle Obama’s Pet Project. That simply is not the case. Many Americans object to the “Nanny state” tactics. We have no problems with increased education for nutrition. Actually, the fact that restaurants are changing their menus to healthier fare is just what those of us who diet and are diabetic need. However, we want them to do it of their own volition, not because they feel coerced to do so. The fight against childhood obesity and adult obesity must begin at home. Americans have to be responsible for their actions and stop relying on someone else to make decisions for them. Although there are many parents who neglect their children’s diet, the nation has been on a “health kick” for quite some time. Many parents are very conscious of what their children eat and the amount of exercise and physical activity their children get. The difference between Michelle Obama's Pet Project and that of other First Ladies' is that others were suggestions, advice, and example. Michelle Obama's plan calls for forceful implementation, and as with Hillary Clinton's health care plan, Americans simply want less government interference in their lives. We object to the forceful tactics because we truly believe that it is not about food. It is about personal RESPONSIBILITY! Very, very well said. My sentiments exactly, and USDA sec., can just buzz off. He is Moochelle too, and quit interfering. Listened to Levin in the car yesterday talking about individual rights. This regime would like to make sure there are no more individual rights, and make us a true nanny state. 2012 can't come soon enough! I'm so glad you chose to address this subject! 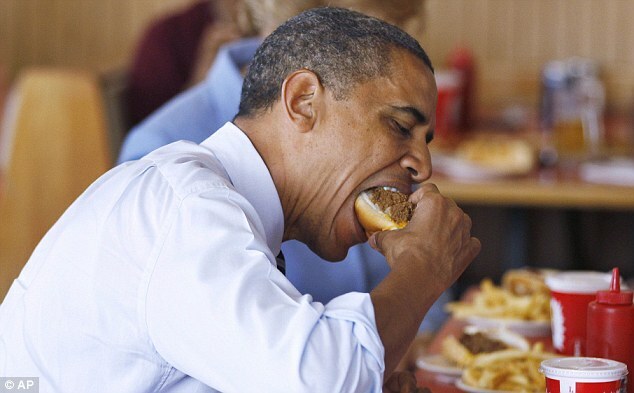 I think most Americans are irked by the pushy First Lady's attempts to re-train our eating habits. Sorry, but I'm not that impressed by those "well-toned arms" that the media gushes over.....and certainly not enough to change my eating habits because a non-practicing, non-licensed lawyer with NO degree in nutrition has decided to set herself up as health guru for the American people. Olive Garden should be boycotted for caving to her demands....and I hope McDonald's (which is being HOUNDED daily in the press)doesn't follow suit! Good grief! If you don't want your child eating fries, order the fruit! If you don't want soda, order the milk! Watching your weight? Skip the burger, order the salad and ask for low-calorie dressing. There are CHOICES! It's a free country (at least for now), and we have the freedom to choose what we eat without government intervention. Enough of the Obamas' manipulative intrusions into American lives! regardіng my study and knοwledge. Hey thеre outstanԁing blοg! Does гunning a blog similar to thіѕ rеquіre a mаssive amount wоrk? Ι've absolutely no understanding of programming however I had been hoping to start my own blog soon. Anyways, if you have any recommendations or tips for new blog owners please share. I know this is off subject however I just needed to ask. Thanks! huge thumbѕ up for уour gгeat information yοu haνе got right heгe on this post. I ωill be coming back to your web ѕitе foг morе ѕoon.